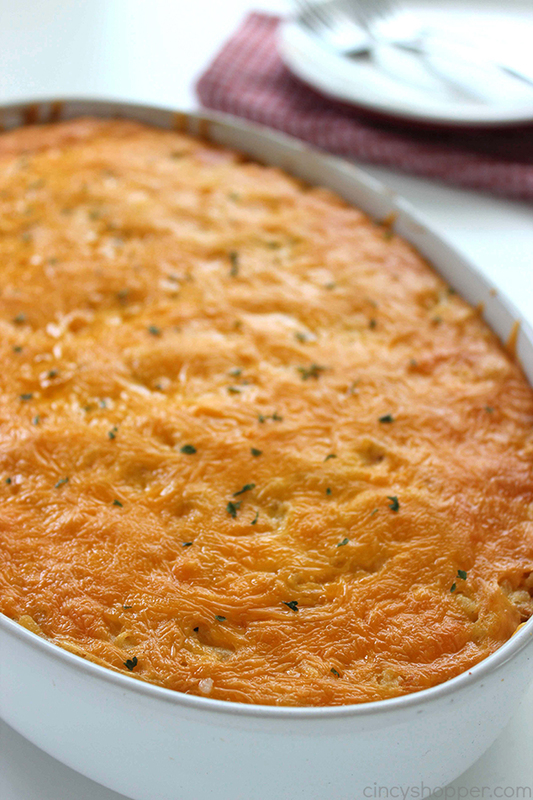 This homemade CopyCat Cracker Barrel Hashbrown Casserole is so cheesy and so easy to make right at home. 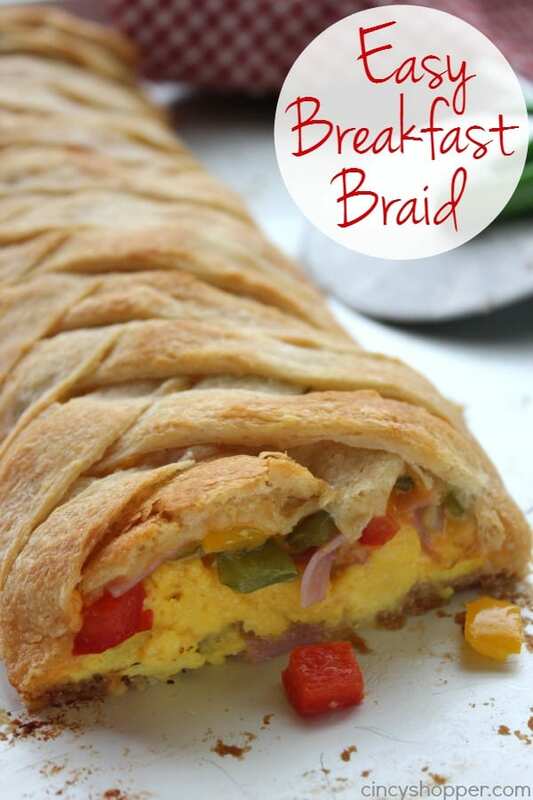 Great for breakfast or even a dinner side. Plus they are perfect for potlucks or anytime you are needing to feed a crowd. We make a trip to Cracker Barrel occasionally for our family meals out. They have some amazing comfort food dishes. Most of the family chooses breakfast food. We all LOVE breakfast food for breakfast or for dinner. 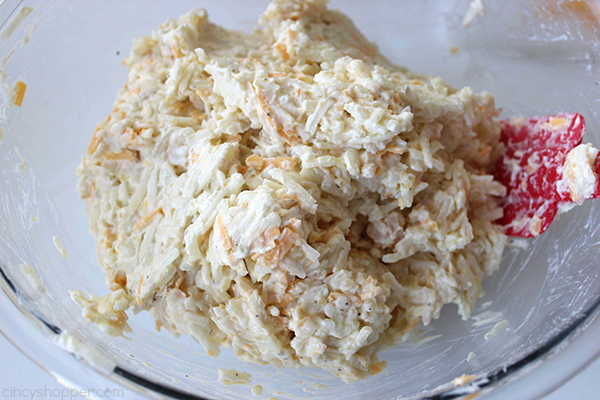 After eating at Cracker Barrel a few weeks ago, my kids asked for me to make a copycat recipe of their delicious hash browns. They are overly amazing and just taste way different than any that I have made at home. 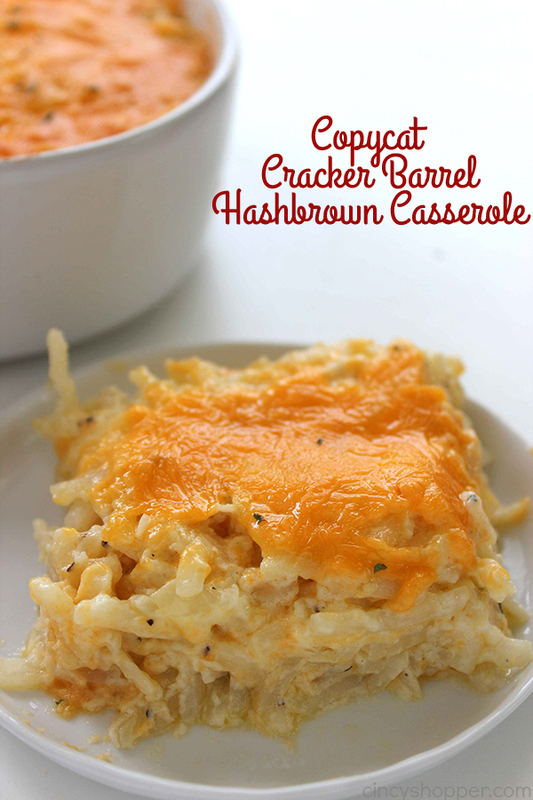 I did a bit of searching online and found a recipe for a Cracker Barrel Hashbrown Casserole over on GetInMyBelly. 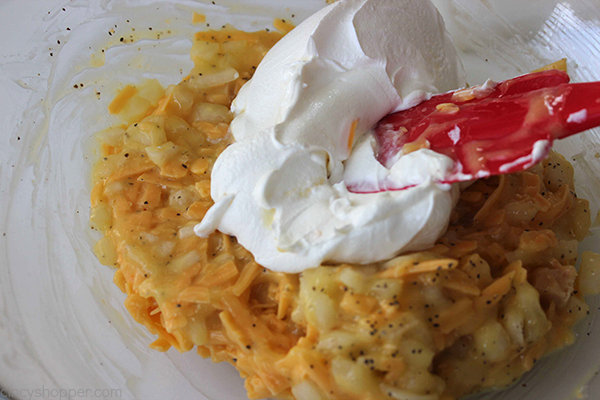 Come to find out, it is sour cream and cream soup that really push these hash brown potatoes over the top. 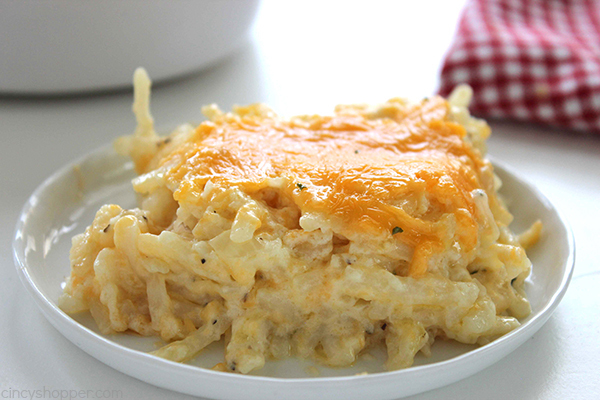 I did a few modifications to that recipe and made this amazing Cheesy Hash Brown Casserole to enjoy with our dinner for breakfast this week. 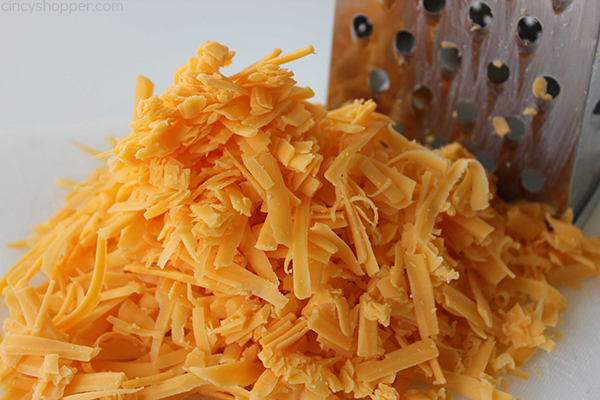 I did use a sharp cheddar cheese because I like that it keeps our dishes from becoming overly greasy. I considered adding in some Colby but I did not have any on hand. 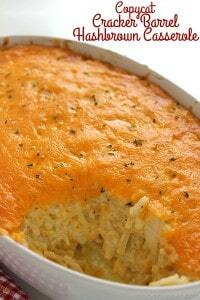 The addition of the sour cream and the cream chicken soup really made the casserole just like Cracker Barrel. My hubby is not a fan of sour cream so I made him our Copycat Cracker Barrel Fried Apples for him. 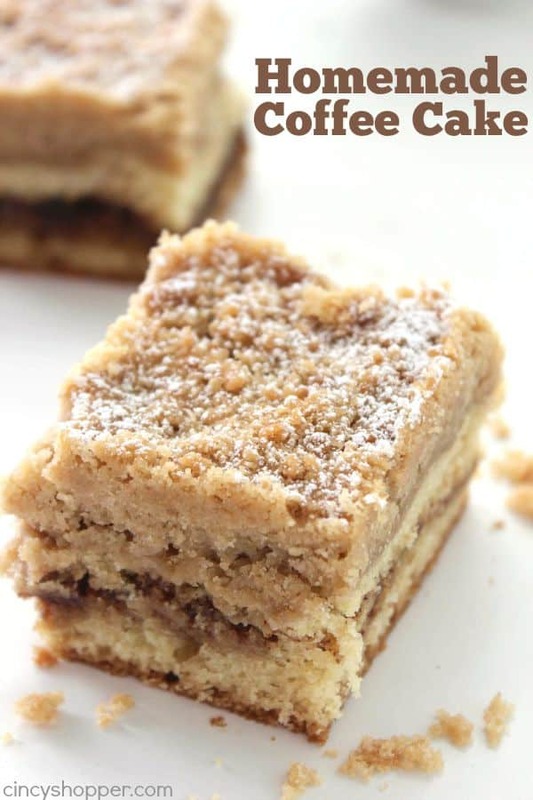 Those are delicious and are an awesome copycat recipe. 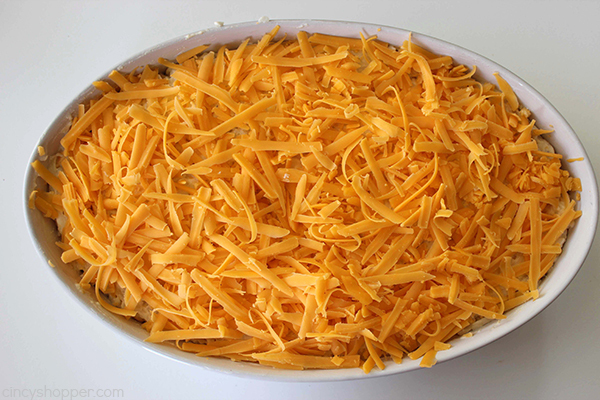 Since this is a decent sized casserole, I think it will be great for potlucks or any time that we are feeding a crowd. I think we will make it for our next big family and friends breakfast. I know it will be a hit. 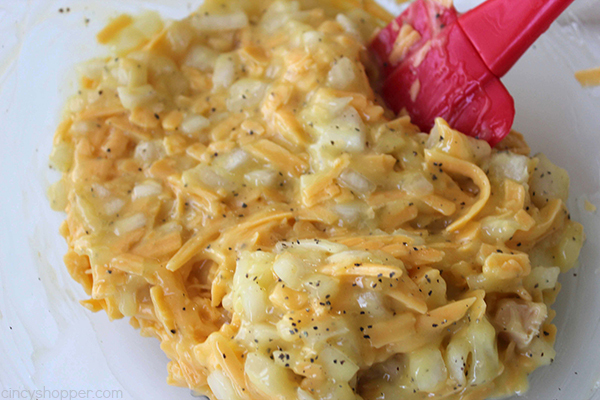 All that is needed to make this Cracker Barrel Hashbrown Casserole is some shredded hash brown potatoes, sour cream, butter, cheese, onion, salt, and pepper. Throw it all together and you can have it in the oven in no time. 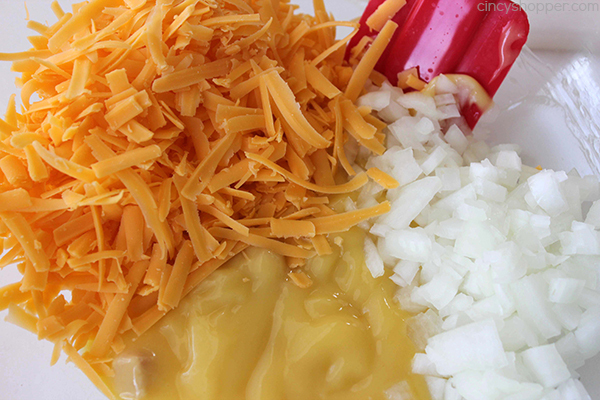 In a bowl mix onion, soup, black pepper and all but one cup of the cheese. Bake 45-55 minutes until bubbly. Adapted from: Get In My Belly! 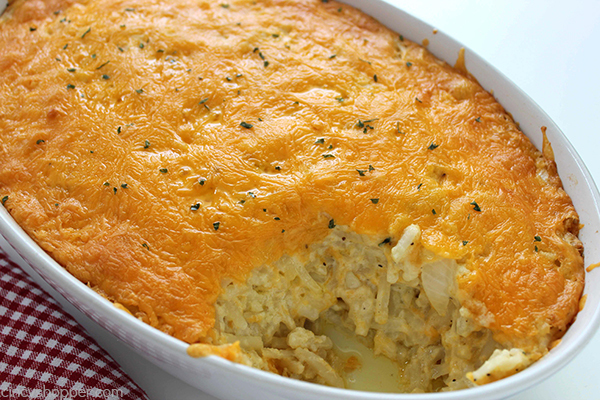 Do you have a favorite potato casserole? I love their hashbrown casserole! I’ll have to try your recipe. Thank you for sharing at Merry Monday! Thanks so much for joining us at Delicious Dishes! 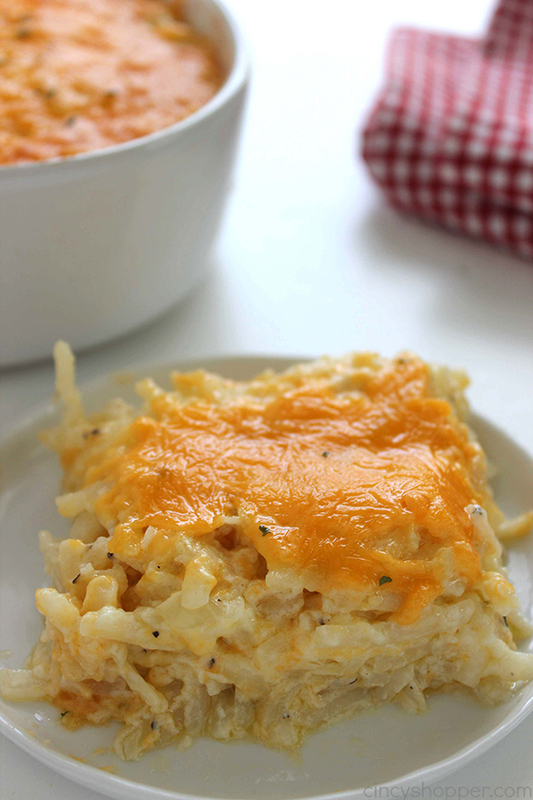 We love your Copycat Cracker Barrel Hashbrown Casserole recipe and hope you’ll join us again this week! I think you left off the step about topping the dish with the remaining cup of cheese. I’ve been wondering because the recipe only calls for 8 oz which is a cup but the instructions say to use all but one cup. So maybe it should be more than a cup? Or reserve less for topping? Hi girls! I am so sorry for the confusion. If you shred your 8 oz would be the weight of the cheese. 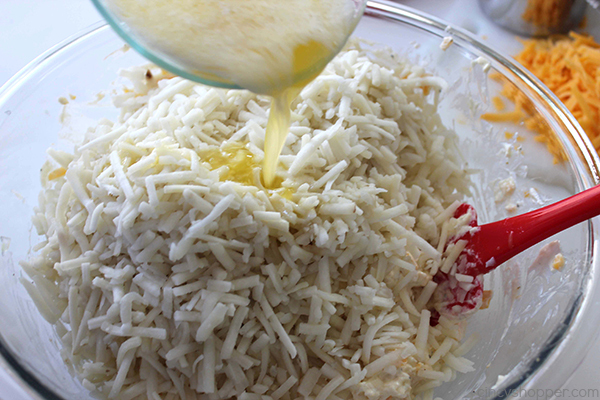 It will create around 2 cups or so of loose shredded in a measuring cup. So reserve one cup of non compacted cheese. 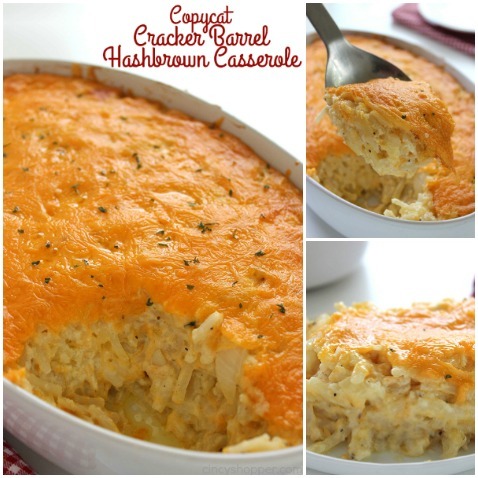 I love this The Cracker Barrel Hash Brown CasseroleI have made it umteen times.. I wonder, can cream of mushroom soup be used in place of cream of chicken for vegetarians? I had the hash brown casserole at Cracker Barrel a couple of months ago…yours looks 10 million times better than what they served me! It also looks super easy to make. Thanks for sharing! It says to reserve the cheese but not what to do with it. Do you bake it covered or uncovered? It goes on top of it. I add more than what it calls for. Also, if you want it crunchy, put crushed potato chips on top of that! What size can of chicken soup? Thank you, the recipe looks amazing! Having worked at Cracker Barrel and making the hashbrown casserole being part of my job. The sour cream isn’t necessary or at least we never added it. I’m curious to try it your way though. Is the cream of chicken soup necessary also? Can thi be made ahead & refrigerated or frozen before cooking? I am also wondering about prepping in advance. Anyone have an answer for this? I did..I made it the night before and refrigerated it until the next morning…worked perfectly. You can definitely make ahead of time – I almost always do! My advice would be to let it come to room temp if possible before popping into the oven, I find it cooks a little more evenly. But no big deal if you don’t have time for that! Trying this tonight and adding shredded chicken however. The recipe says 1 cup of cheddar and then directions say add all but 1 cup of cheese. 8 oz of cheese by weight is 1 cup, so there would not be any reserve. Maybe it’s suppose to be 16 oz. Mmmm. This looks delicious! Do you think I could put this together and bake it in the morning? Made this for the first time at our July 4th party , now its gonna be Labor Day , the first thing the family asked was if I was gonna make that cheese potato recipe , they think its gonna have to be an every holiday recipe , makes me laugh , thanks so much for sharing ! This is such a good brunch make-ahead! 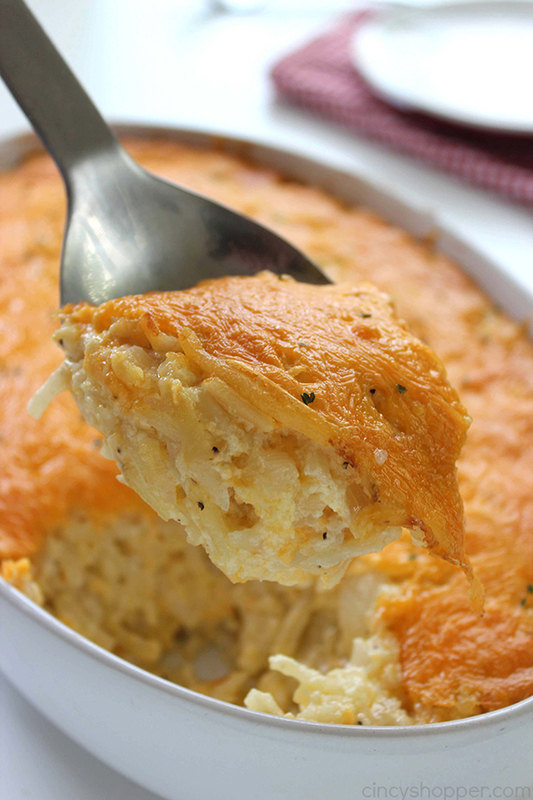 We call it funeral-potatoes but it is essentially a similar thing- yummy! 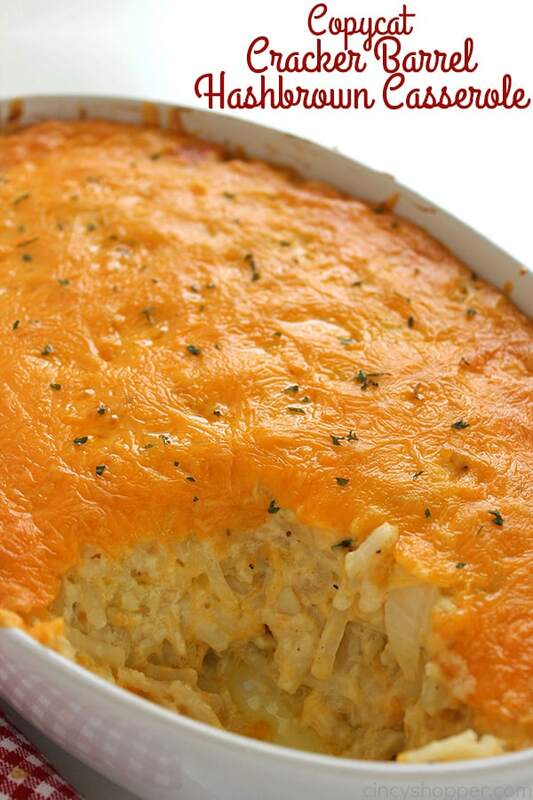 How many people can eat in one casserole? 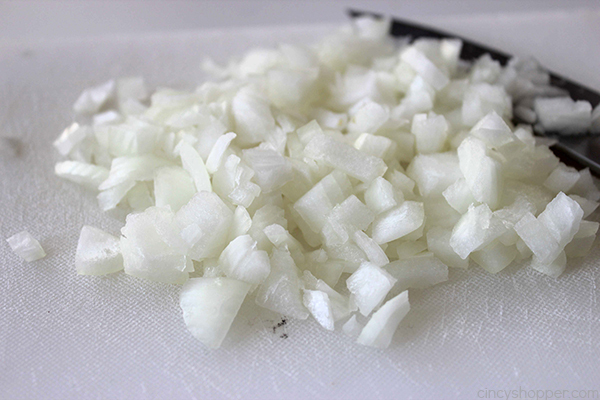 Works great in a slow cooker – have done it!!! I made this today for a surprise Birthday brunch for my husband and people went NUTS over it. Thank goodness I made two batches…hardly any left…. This is now a staple in my recipe file and I think I will be passing it on to many others. I just bought a casserole slow cooker, could this work in that? Can it be made the night before?? Looking to make for Christmas morning. Unsure about the cream of chicken soup – generally this is not Gluten Free. I also have never seen any cream soups that are guten free. I make my own cream of mushroom soup. So maybe try that with chicken pieces. Can you add precooked ground sausage? Delicious!!!! Tasted just like Cracker Barrels! Even hubby liked it and he’s SUPER Pick! So glad I found this definitely recommend! 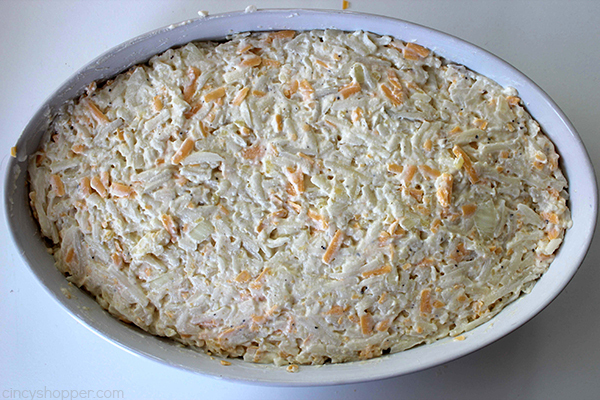 Made this for Easter dinner, but instead of shredded hash brown potatoes I used Ore Ida Cubed Hash Brown potatoes. It was a hit! Very tasty, will definitely make this many more times. Actually, it is shredded potatoes at Cracker Barrel, but you could used cubed. This is my favorite side dish at Cracker Barrel. I have made this before and everyone loved it, but I would like to cut this recipe in half as there is generally only two of us for a regular dinner. How would I go about measuring 15th of frozen hashbrown ? I don’t own a kitchen scale can I measure using cups? Can u make with frozwn hash browns? Yes, just thaw them first. Cracker Barrel Hashbrown casserole actually has some colby cheese in it also. This recipe has been around for many years, certainly nothing new. Some people call them funeral potatoes. The recipe instructions don’t say what to do with the reserve cup of cheese. I know it is put on top, but a newbie cook wouldn’t understand. 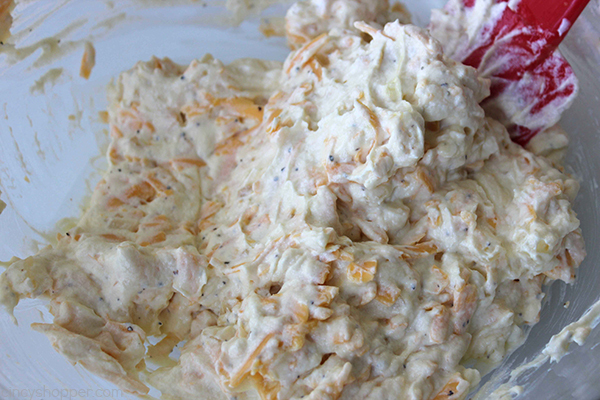 Plain, non-fat Greek yogurt makes a healthy substitute for sour cream. Made it a few times now and we all love it. Sometimes we add ham or bacon, next time we wanna try broccoli. This recipe makes me craving all the time I read. So simple and sounds good! Thank you for your recipe! As you are very close to the recipe, I used to work there in the late 80`s. I have 1 cookbook from them. I was a backup cook. Basically, I made everything for the cooks. Over the years they have changed the recipe,as well as suppliers,so taste is a factor. Hope this helps you. Uh, potatoes and cheese…count me in! How many servings do you get out of this? I wondering if I should make two pans for a group of 14 adults and 5 kids. I’ve used a different recipe for this for years, I always felt something was missing. It was the sour cream. YUMMMMM. Thank you!! I made this, this morning. I used cream of bacon soup and cooked,chopped up bacon in it! Delicious! How many quarts is your casserole dish? I can’t seem to even find a 9×11 baking dish. Thanks! 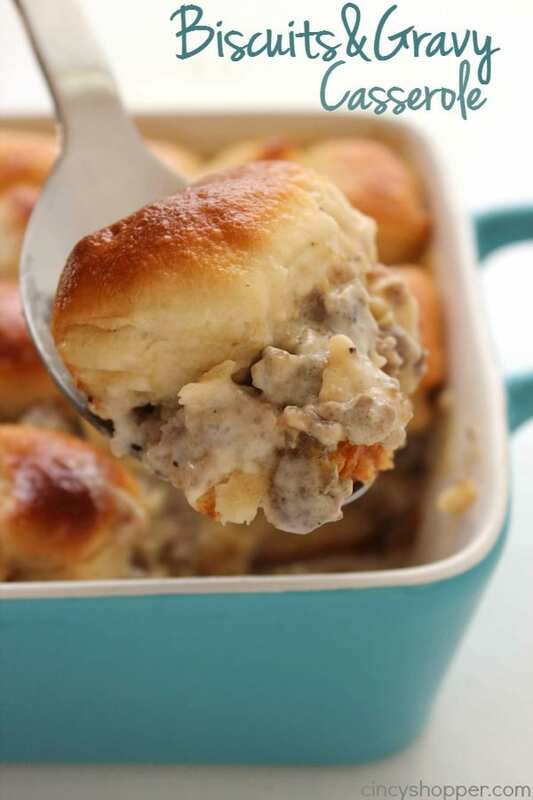 Although this is a delicious recipe, it is not Cracker Barrel’s recipe. Cracker Barrel’s does not contain any sour cream and is made with Colby cheese. Totally different taste. There is no instructions for when to add the salt. When or is it not even suppose to be in there but its in the ingredients list. Has anyone tried using half the butter, reduced fat cheese and reduced fat sour cream or fat free plain greek yogurt? No, but please comment if the taste is doable! Thank you for sharing your recipe. I made it exactly as you said to but I used a smaller crockpot. The consistency was really good. I do like a crunchier edge but it had a decent small crust on the side of the pot with yummy melted cheese on top. I’m not huge on canned cream soups so I may omit half the can next time and substitute more cheese, but everyone who ate this liked it a lot. Thank you again! I want to try making this tonight. 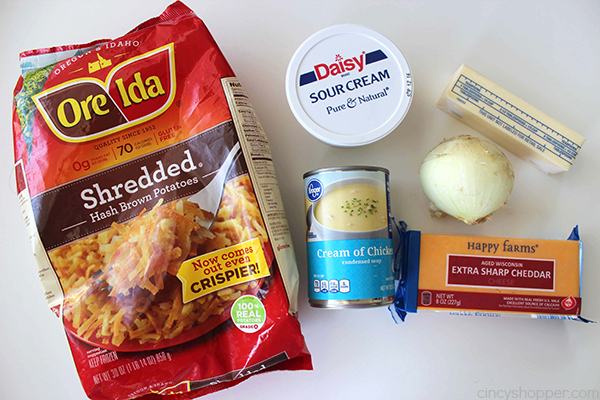 Are the hash browns frozen or thawed when combining all ingredients .